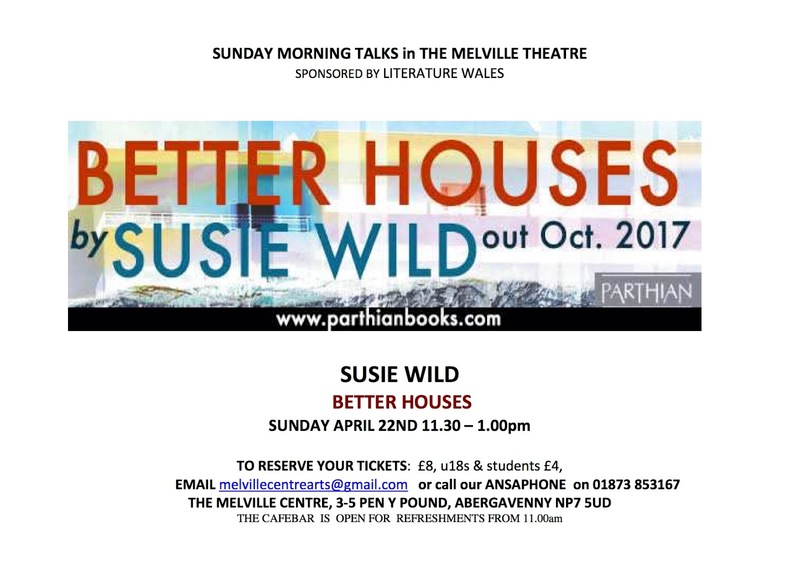 Roll up, roll up for my 22nd and very last date of the Better Houses tour in Abergavenny on Sunday 22 April at 11.30am! 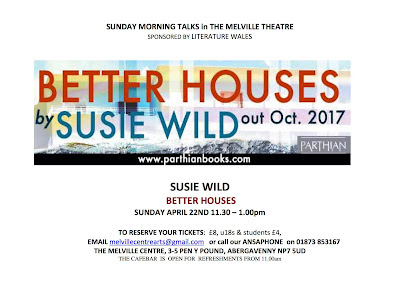 Susie Wild reads from her new volume of poetry, talks about writing it, and discusses questions raised by the audience. Tickets: £8 (u18s and students: £4). To reserve a ticket, telephone 01873 853167 or email melvillecentrearts@gmail.com. The cafe/bar is open for refreshments from 11.00am.